This was such a gentle and heart warming read with lovable characters and beautiful writing. 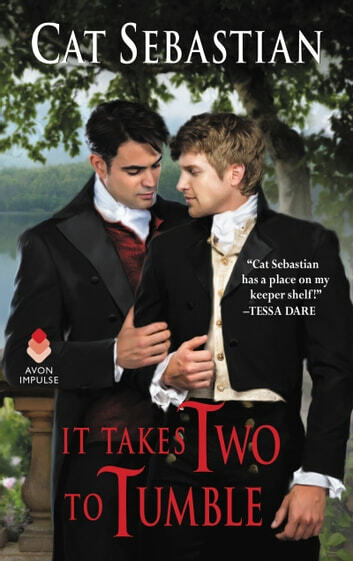 Cat Sebastian is such a great writer and it really shines through in this one. I was completely immersed in the world she created and the romance she was developing. These two are so adorable together and I loved how honest and open they are. 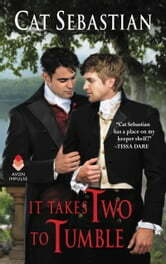 Ben was raised in an unconditional family with his father, mother, and his father’s mistress. He’s known he was attracted to men but he’s always pushed it away. Not out of shame but because he wanted a traditional life – the complete opposite of his upbringing. Phillip has spent most of his adult life on a ship, away from his wife and his children but he has to return when his wife dies. On top of that, his first mate, the man he was beginning to love, has also died. But no matter what else is going on, Ben and Phillip can’t stay away from each other, their attraction is too strong. Ben was so wonderful and I loved his character! He’s just so earnest and open and his care for other people was so sweet. Ben genuinely enjoys helping the people in his parish and his devotion to being a vicar is written so well. I don’t know if a gay man living in this time period would be this comfortable with his religion and sexuality but I don’t care because Ben was too perfect! I can’t wait to read more in this series. We only see Hartley in this one but we hear a bit about the other brothers and I’m looking forward to more! Can we get a novella with Alice Crawford? Because she was such a wonderfully written side character. I know it’s realistic to the time this book takes place in but I was a bit bothered by how uninvolved Phillip has been in his children’s lives prior to his return home. It just bothers me a bit that he could just walk away from his family in the past. This is my first time reading this author. It's an enjoyable story, but I wish for more character building for the side characters.